Navigating the New Parent Paperwork, Part I of IV: Essential Identification - Phillips Law Firm, Inc. Becoming a parent is a significant life event that opens up new vistas of happiness and sleeplessness. The goal of this four-part article is to provide a general overview and resources to new parents on how to navigate the government, estate planning, and insurance related issues which commonly arise for new parents. The article is for educational and informational purposes only and does not constitute legal advice. Anyone contemplating taking legal action is urged to obtain proper legal advice from an attorney licensed in your particular jurisdiction. When we finally left the hospital, I was struck by the fact that we did not have any documentation stating that our child was, in fact, ours. Vehicles have titles and electronics have serial numbers, but for infants all you have is possession. Fortunately, new parents have a stack of paperwork to complete in the postpartum room that begins the process of integrating their child into society. You will be provided with a birth certificate information worksheet in the hospital after your child is born. Completing the worksheet (each hospital has their own version) is how you request the name of your child, request for a social security number to be issued to your child, and provide biographical information about the parent(s) which will be reported to the state and county health departments. We were told by the nursing staff that we could not leave the hospital until we filled out the birth certificate information worksheet. This is not true, but it is good advice. Under Ohio law, the hospital is going to complete your child’s birth certificate application worksheet and report his or her live birth to the county and state within ten days of birth. R.C. 3705.09. Therefore, it is a good idea to pick a name for your child and turn in the worksheet within the first ten days of your child’s life – or else the county will choose a name for you. You may choose any name for your child provided it is made in good faith, not against public policy, and not for a fraudulent purpose. Basically, as long as you are not trying to name your child “Santa Robert Claus,” you should be in the clear. Choose wisely: you can only change your child’s name with a court order, which is an expensive and time-consuming process. Unfortunately, you will not be mailed a birth certificate unless you submit a request to your county’s board of health and pay for a copy to be sent to you. As part of the birth certificate information worksheet, you will be prompted to request for the Social Security Administration to assign a social security number to your child. Failing to obtain a social security number for your child will create obstacles for you and your child in the future. To request the social security number, you must provide the social security number(s) of the parent(s). The provided social security number(s) will be made available to your state’s social services agency to assist with child support enforcement activities and to the Internal Revenue Service for the purpose of determining tax deduction compliance. Once applied for, you will be mailed a copy of your child’s social security card. If you do not request for a social security number to be assigned to your child in the birth certificate information worksheet, the parents(s) will be forced to apply in-person with your child at the nearest Social Security Administration office with armfuls of original documentation. Paternity law in Ohio can become very contentious and the nuances of paternity law are beyond the scope of this article. You should consult with an attorney if you have any questions regarding the paternity of a child or your status as a parent, especially before you sign any documentation regarding the child. 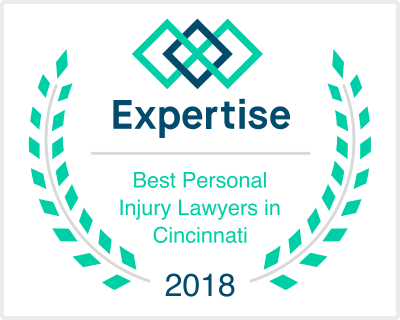 Kyle E. Hackett is an attorney in Cincinnati with the Phillips Law Firm, Inc. Kyle helps individuals and small businesses anticipate and solve a variety of legal needs, disputes, and lawsuits. He can be reached via e-mail at KEH@PhillipsLawFirm.com or (513) 985-2500. Click here for Part II, Insurance, Part III, Estate Planning, or Part IV, Credit Freezes.